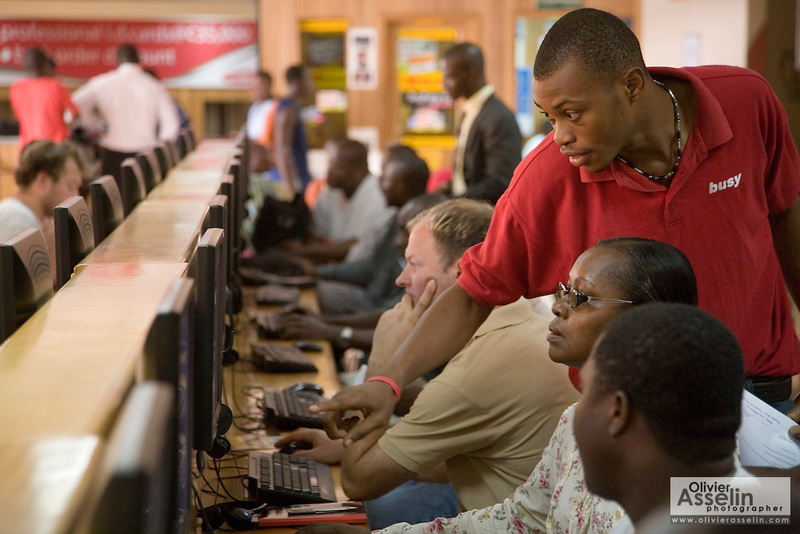 An employee helps a customer browse the internet at the Busy Internet internet cafe in Accra, Ghana on Thursday February 1, 2007. Founded five years ago, the company offers the services of a standard internet cafe, but also provides internet access to 90,000 residential and commercial clients. Busy Internet has grown 30-35% since its creation, and has over 120 employees..